An uzi’s firing rate is precisely six hundred rounds per minute. Neither one of us are counting bars, but El Gant’s presentation here over 42 Keez’s canvas could very well be the closest representation of a lyrical uzi in 2015. 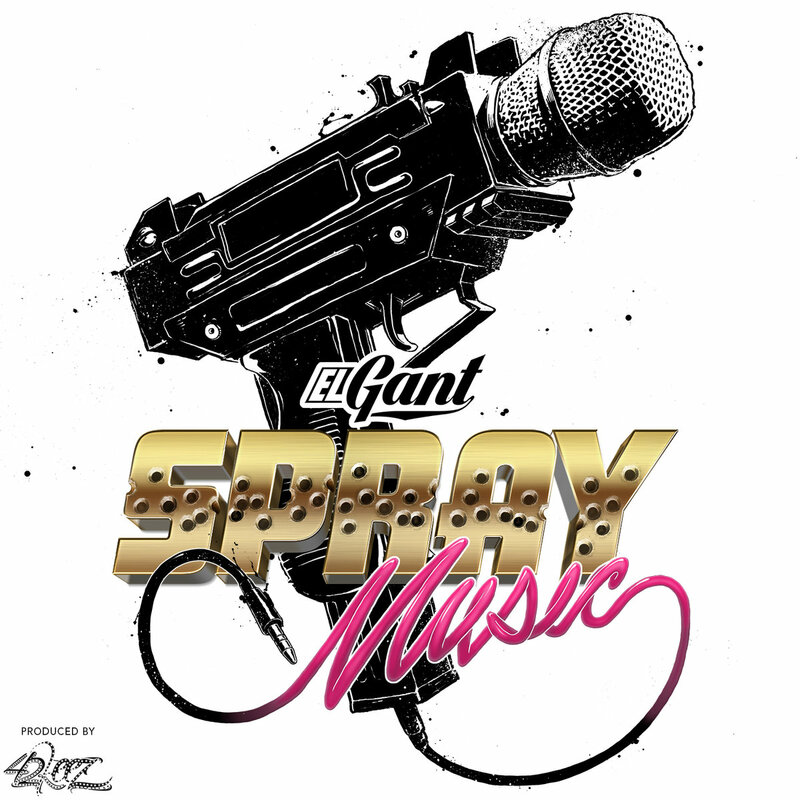 ‘Spray Music’, cosigns itself that Gant’s emceeing abilities have been doing pushups since the acclaimed 2014 release of ‘Beast Academy’. With 42 Keez’s Chicago-driven soundscape and a universally accepted and respectable rhyme display. In opposition, don’t get the potential screwed up. Gant is always building with and in the lab with veteran emcees and true schoolers, alongside successful solo strives and his IV League posse (Ras Kass, Shabaam Sahdeeq, El Da Sensei and more).